Religion Beat is a blog-style online publication that was started in 2009 by the student steering committee of the University of Toronto’s Religion in the Public Sphere (RPS) initiative. In September 2014, Religion Beat was re-launched and is currently inviting submissions on a rolling (i.e. no deadlines) basis. If you have an article you’d like to submit, email it to religionbeat@gmail.com along with a list of keywords and a short description of who you are (max. 50 words). Please read our handy FAQ before submitting! Religion Beat provides a curated online space for individuals from inside and outside the academy to publish articles about religion in the public sphere. Submissions from all over the world are welcomed regarding any religion, any time period and any geographical location. This project provides a space for graduate students in particular to publish more prolifically in a sophisticated online venue outside of formal journal publishing, allowing them to write for public consumption while maintaining a commitment to intellectual writing. 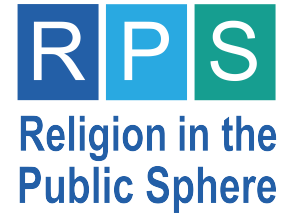 Graduate students have already published with Religion Beat on a range of subjects that join their own research interests with the goals of RPS, and in addition to articles, writers have the opportunity to reflect on events occurring in their communities such as celebrations, debates, conferences or public talks. In 2015, Religion Beat will also launch a podcast series wherein interested participants can join round table discussions on a variety of topics regarding religion in the public sphere. Blog-style online spaces curated by academics have become important spaces for education, involvement and student contributions, and Religion Beat is committed to continuing this work. Religion Beat is based out of the University of Toronto, and as such, students at the U of T’s Department of the Study of Religion are welcome to submit articles regarding projects they’ve started in order to contribute to the website’s “UofT Beat.” The UofT Beat tracks projects, lectures and other exciting events that take place at the University of Toronto. Additionally, if you’re not a UofT student but have attended a campus event and would like to write an article about it (either a journalistic report or an article reflecting on the topics at hand) you are welcome to submit your piece to the UofT Beat.